Wythenshawe Hall, on the outskirts of Manchester, is a 16th century tudor mansion built in 1540 for Robert Tatton. It was the Tatton family’s home for almost 400 years. In the 1920’s, the house and surrounding land was donated to Manchester Corporation “to be used solely for the public good”. One of the largest housing estates in Europe was built on the land, and the hall became a museum and art gallery. It remained so until 2010, when it was closed due to council spending cuts. Since then, the hall’s Friends group has held regular open days and events there. Tragedy struck the timber-framed Grade II* listed building in March 2016 when it became the victim of a terrible arson attack. Five separate fires were set around the building, which spread through the first and second floors, the roof and the Bell Tower. The damage was extensive, with the roof and several rooms severely affected and smoke damage throughout the building. 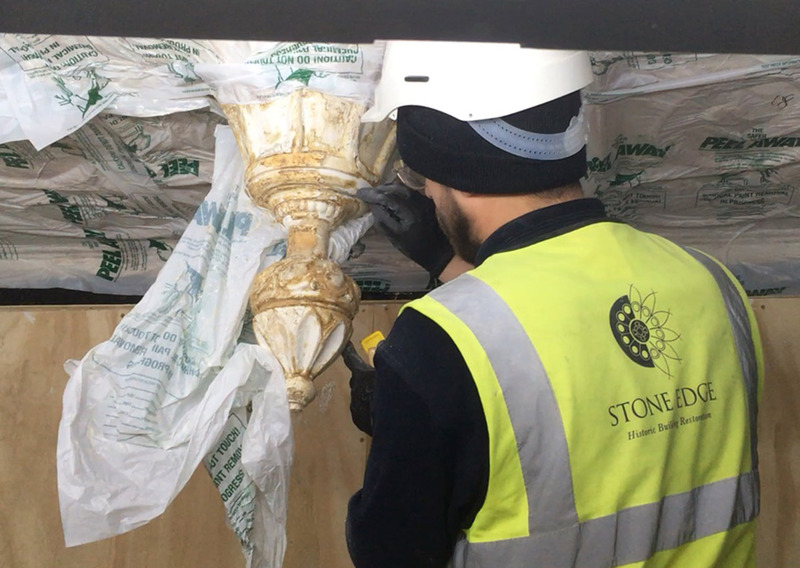 Stone Edge has been working at Wythenshawe Hall, with Buttress Architects and main contractor Conlon. 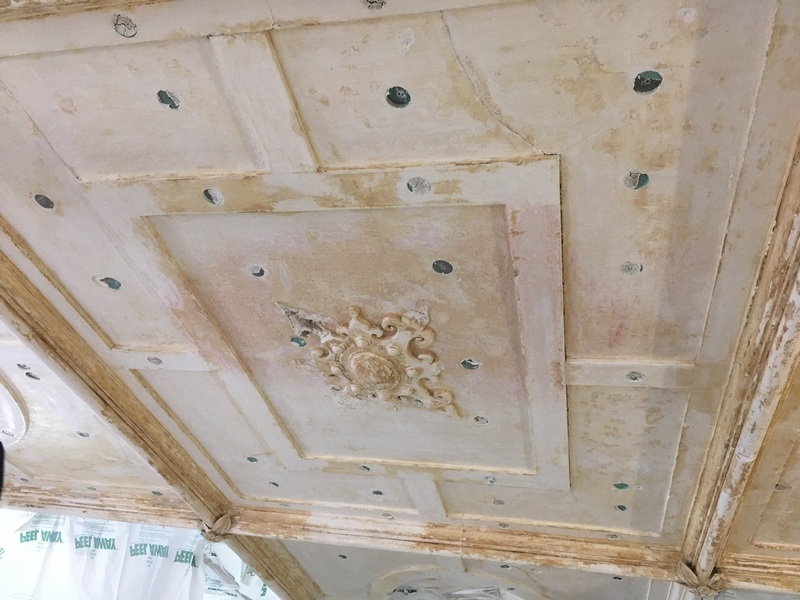 We have been undertaking some delicate conservation work to the fire-damaged ornate plaster ceiling of the Withdrawing Room on the first floor. 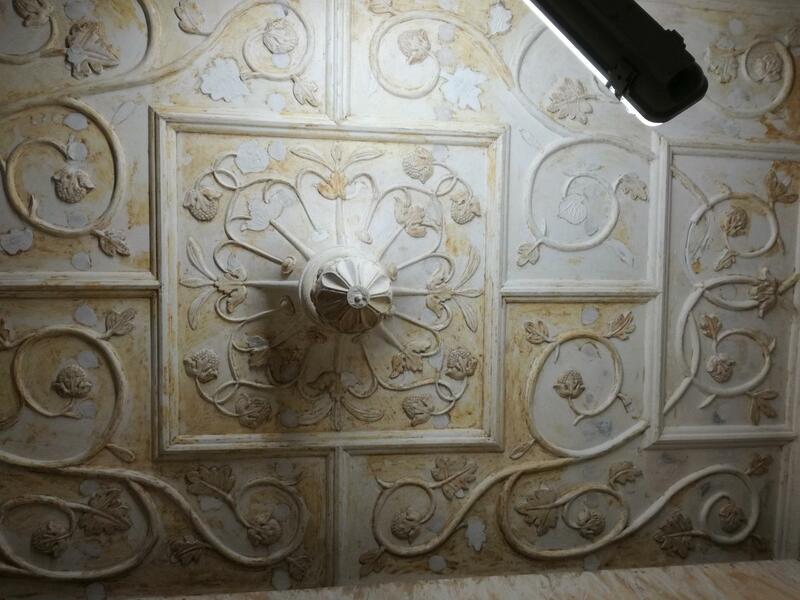 Our task has been to remove the affected paintwork, to expose the surface of the original plaster. Buttress had already carried out extensive trials to determine the most appropriate methodology, which would be effective but not impact on any of the surrounding historic fabric. The product specified was Peel Away, a paint removal system in the form of a poultice. The painstaking work cannot be rushed and requires a sensitive approach. Up to five layers of paint have been removed, through a combination of the poultices and delicate physical removal using small scrapers and scalpels. 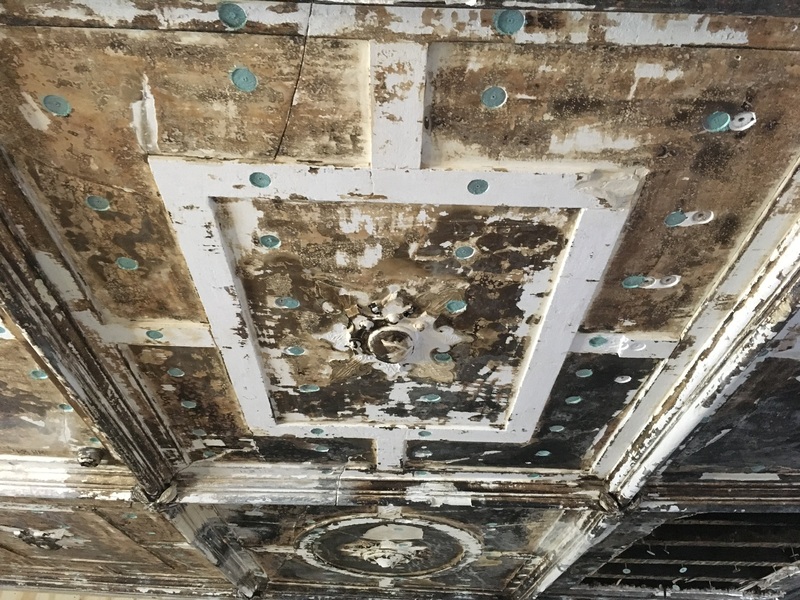 Particular care has been needed around the ornate details and areas where the plasterwork itself was scorched. The intricate process has been carried out by our in-house conservator, Valerio. The before and after images speak for themselves. 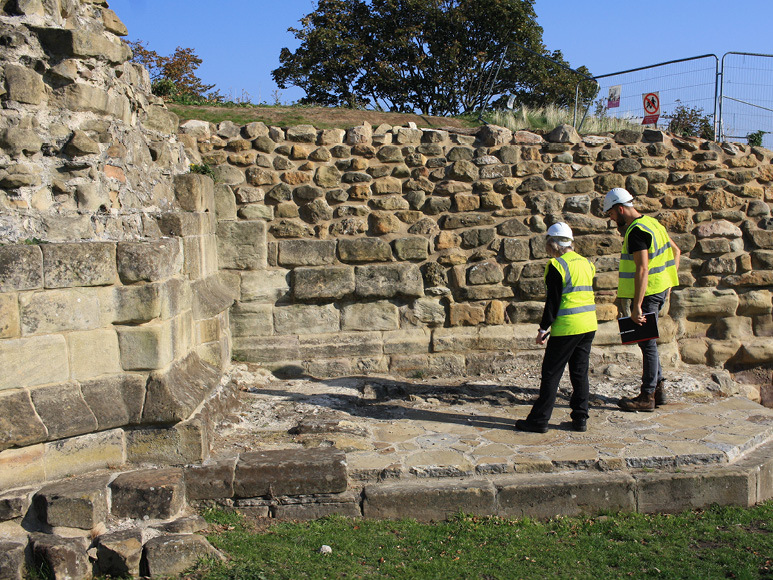 We are delighted to have played a part in this important heritage project.